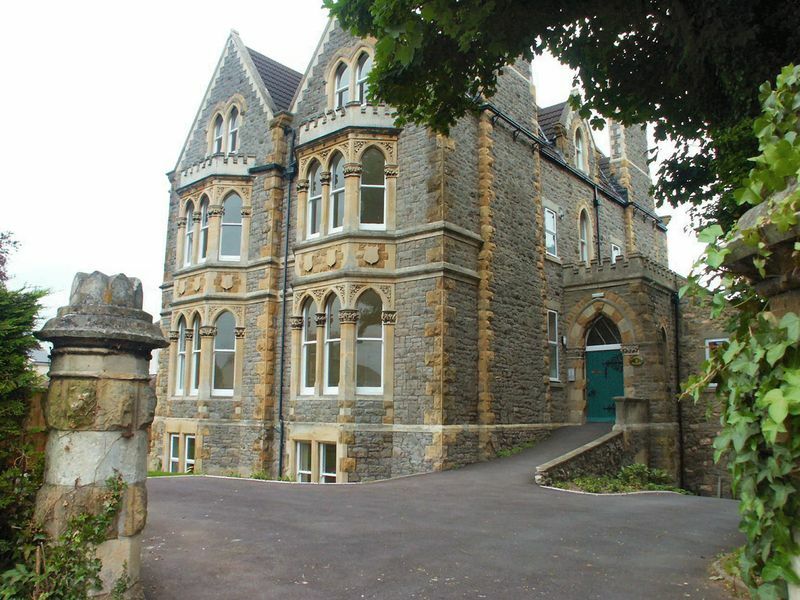 An impressive Victorian converted apartment on one of Clevedon's most sought after roads. 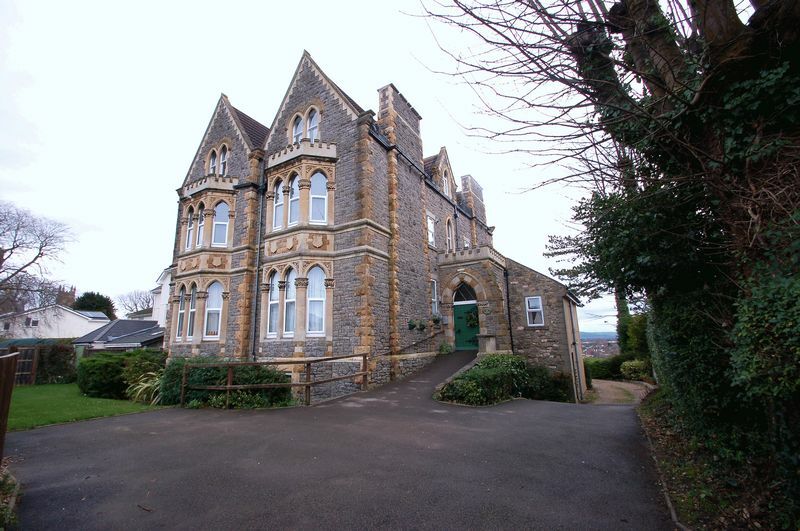 This stunning top floor apartment offers gorgeous panoramic views across Clevedon. 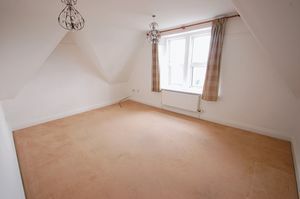 The spacious sitting room and master bedroom both enjoy these fantastic views. 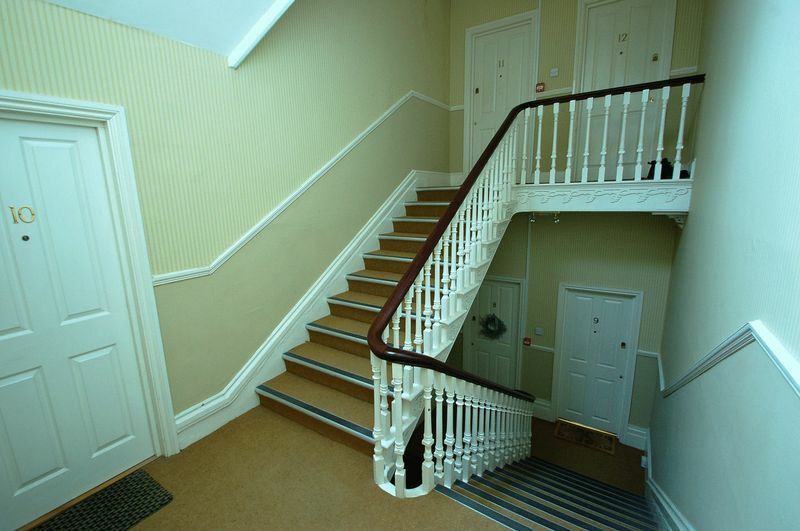 There is a fully fitted kitchen and the approach is via a particularly impressive hall with a fine original staircase. 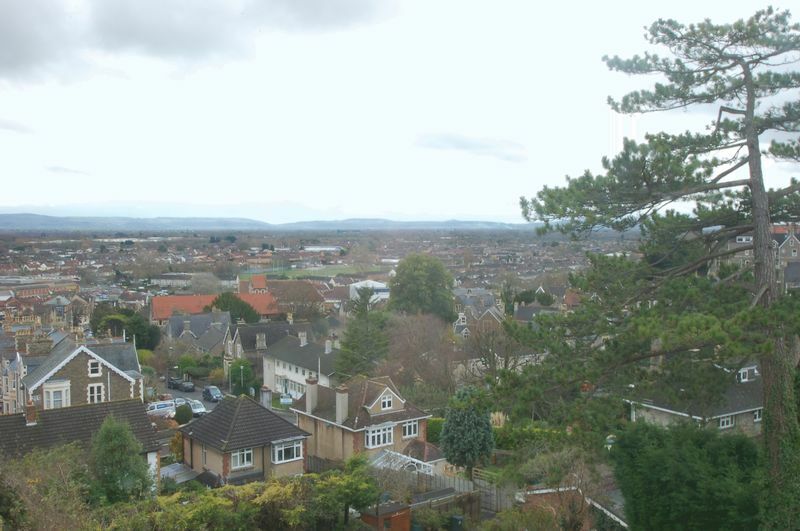 This superb apartment has gas central heating and allocated parking. 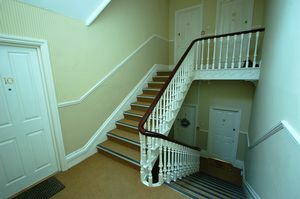 The Grand Staircase from the main entrance doorway leads up through the house, a wide staircase with decorative handrail and spindles. Ornate plaster archways and well presented shared communal space, well maintained, spacious with infra red motion sensor lighting up the way. With doors to all rooms this well presented Hallway has space for coat and shoe storage etc. 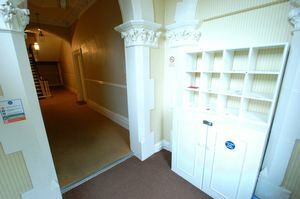 Period style deep moulded skirting boards, wall mounted door entry phone. 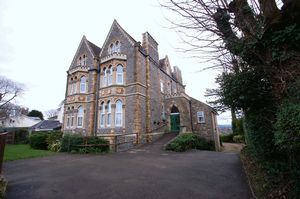 Upvc double glazed window to rear offer spectacular views over Clevedon, features made of the original gables, period picture rails and deep moulded skirting boards. 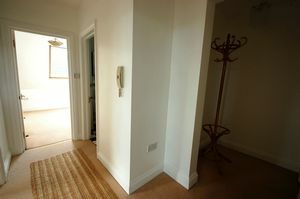 Television and Telephone points, double radiator. 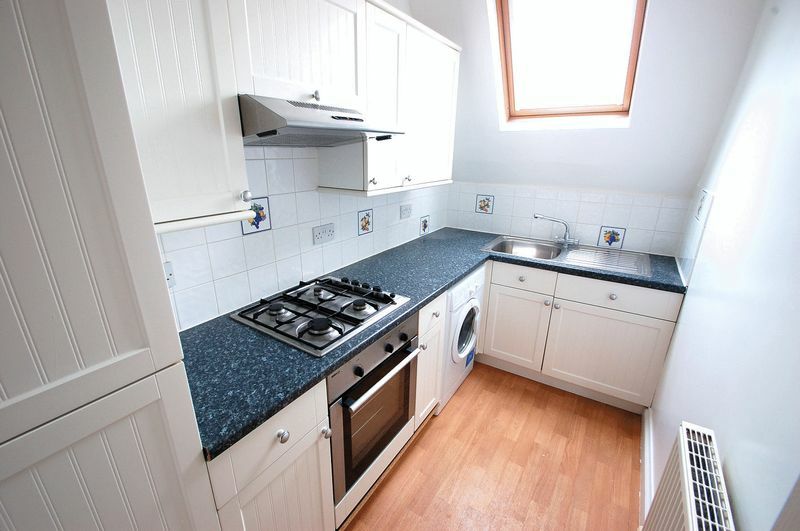 Modern stylish kitchen with 'Velux' skylight bringing in lots of natural light. 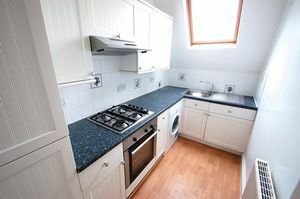 Matching wall and base unit, Stainless Steel sink with mixer tap inset into roll edge laminated work surfaces, complete with tiled splash backs.Integrated four ring gas hob with electric oven below and matching extractor hood over, integrated upright fridge freezer and dishwasher, radiator. Upvc double glazed window to rear with panoramic views toward the Mendips across almost the town. 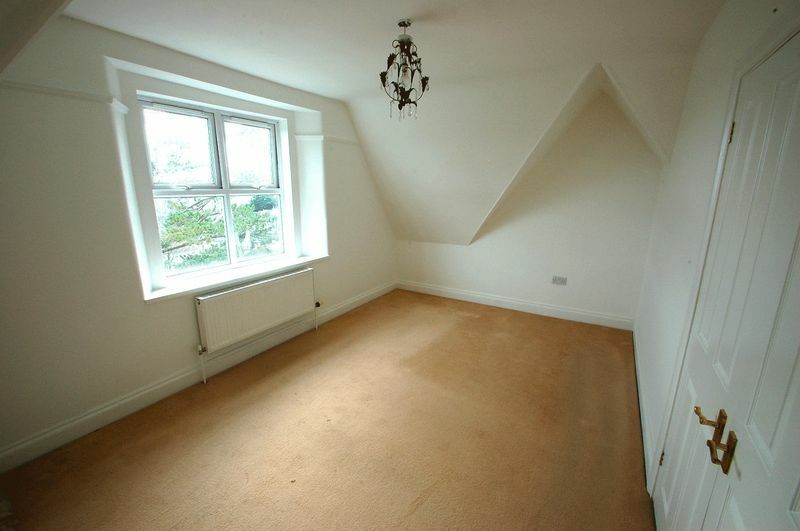 Feature gable ceilings, picture rails and deep moulded skirting boards. 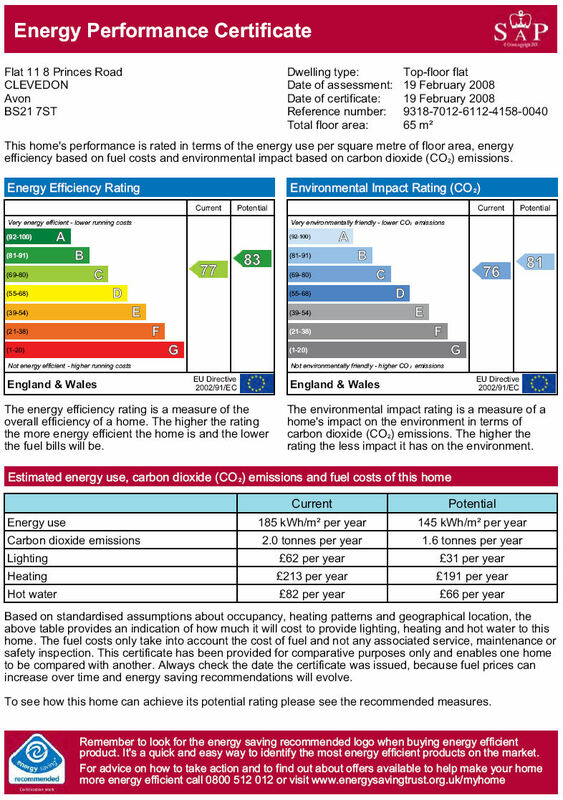 Fitted wardrobe with hanging rail and overhead storage, cupboard housing wall mounted 'Worcester 28Si' combination boiler supplying all central heating and hot water requirements, Radiator. Velux skylight bringing in natural light, fitted wardrobe with hanging rail and overhead storage, radiator. 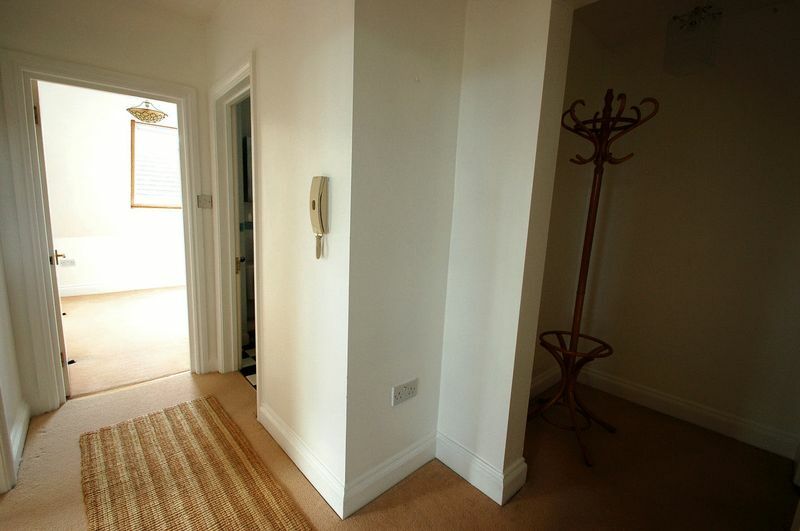 A White bathroom suite comprising panel bath with shower over and shower screen, pedestal wash hand basin, low level W.C, fully tiled wall, radiator and skylight. Asphalt driveway with mature hedging screening from the road in front, leading to the rear and off street parking. 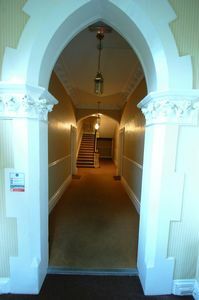 Path rising to substantial and impressive main entrance doorway complete with secure entry phone system. Large gravelled parking area edged with lawn and mature hedging and borders.